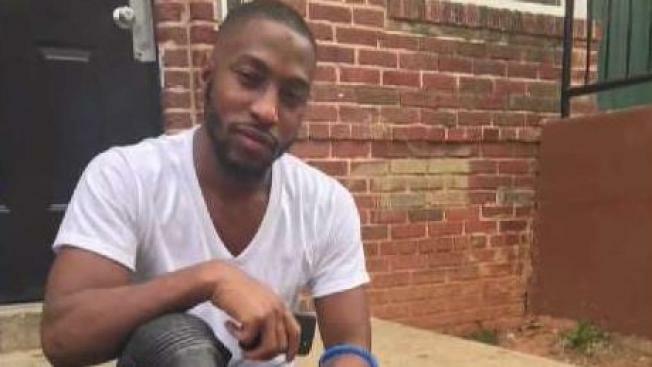 A community is rallying around the mother of a D.C. man shot to death Tuesday while carrying his newborn son. Donald Lewis, 25, was holding his infant son in a car carrier as he left his apartment on West Virginia Avenue in Northeast Tuesday just before midnight when two people wearing masks opened fire. Lewis and the baby fell down steps, but the baby wasn’t hurt. The family believes Lewis was targeted. Family and friends gathered Saturday to remember Lewis, a father of two young children. Lewis’ mother is also dealing with the slaying of her 40-year-old sister. Wykeena Ferguson was killed in her Southeast D.C. apartment in June. Police have a warrant for her boyfriend’s arrest. Lewis’ funeral will be held Thursday.